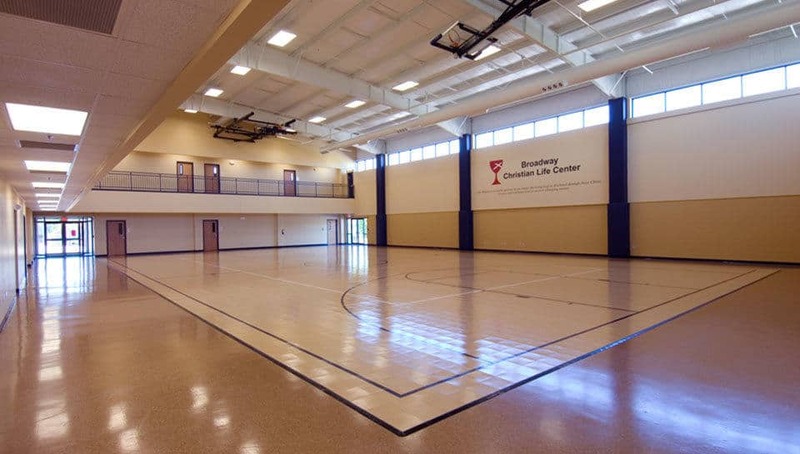 Christian Life Center - Broadway Christian Church - PWArchitects, Inc.
Broadway Christian Church worked for several years on a large multi-stage expansion project for their growing congregation. PWArchitects provided the Building committee with the tools to make their vision a reality through the master planning process over that time. The phased expansion consists of a renovation for the existing Youth Center, a Christian Life Center and a Choir/Office addition. 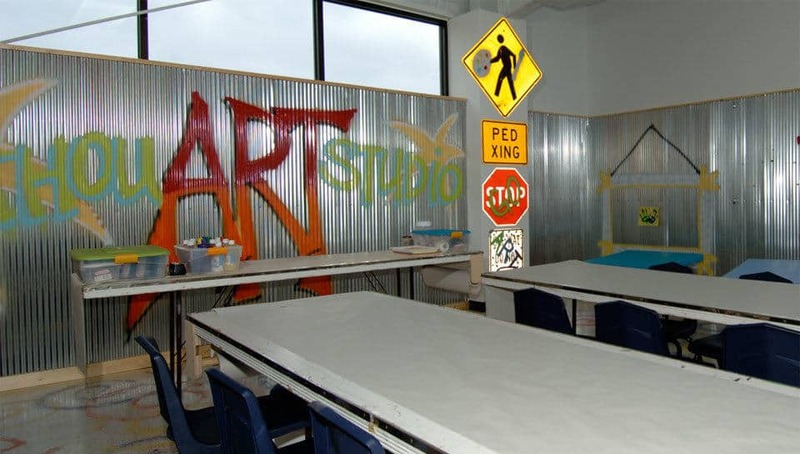 The Youth Center was in need of additional classroom space and upgrades to the existing spaces. 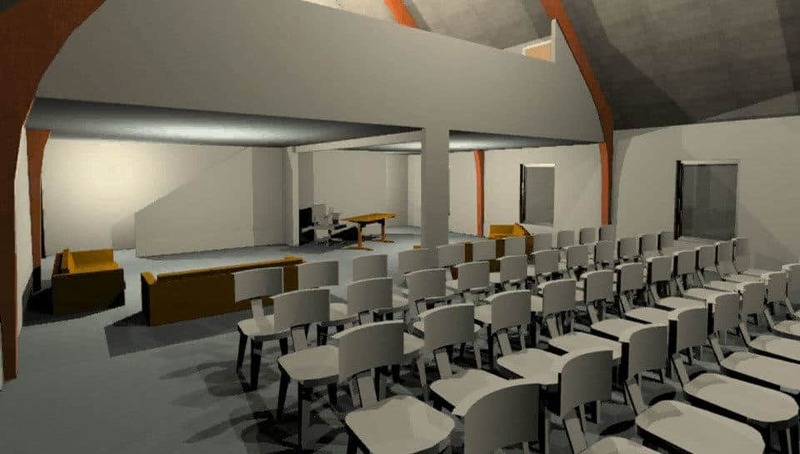 Adding a mezzanine of the space allowed the church to capture inexpensive unused volume in the original sanctuary for their use. Additional storage and break room space created a complete facility for “Lock-in” functions at the Church. The highlight of the process was the interaction between the PWA design team and the youth groups that would use the facility in a participatory charrette outlining the needs and desires of the group. 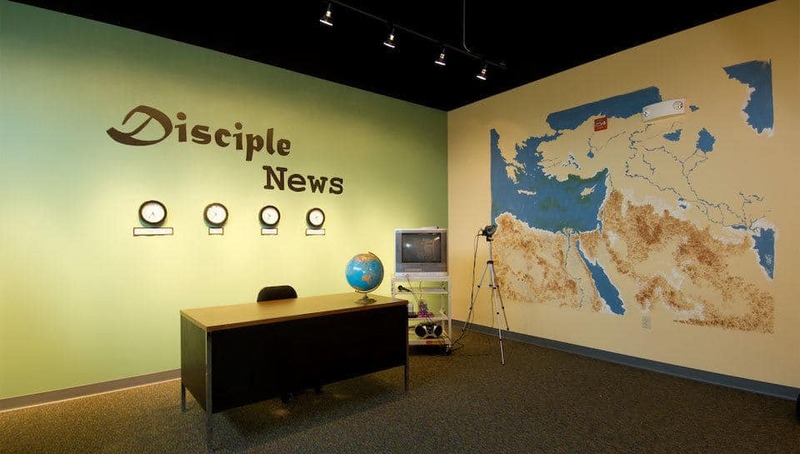 The Christian Life Center addition adds approximately 12,000 square feet of classroom, storage and gymnasium space addressing the ever growing educational space needs of the church. The 4,500 square foot choir and office addition were much-needed spaces to support the ever growing programs in the church. PWA worked with each user educational group involved in the building committee to finalize needs for their fundraising drive. This process culminated with the presentation to the congregation of the schematic design and a fully interactive 3-dimensional model. This process allowed the individual members of the congregation to see and feel the spaces they had planned for so many years.